Colorado Lawsuit Challenging State's Marijuana Law Goes to Trial . A lawsuit filed by two landowners who claim that a nearby marijuana grow has reduced their property values -- in part because the smell allegedly makes horse riding less attractive -- got underway in federal court in Denver Tuesday. The case is based on federal racketeering laws, and an adverse decision could have significant disruptive effects on the state's marijuana industry. The lawsuit was filed by Safe Streets Alliance, a national anti-marijuana group. New Jersey Lawmakers Aim for Marijuana Hearings Next Month . State Senate President Stephen Sweeney (D-3rd District) told reporters Monday he had been meeting with Sen. Nicholas Scutari (D-22nd District) on advancing marijuana legalization legislation, and "I think we're real close." While Sweeney did not offer any firm timelines, Scutari said he has been looking at holding a hearing on November 26. More Than 200 Unlicensed Michigan Dispensaries Must Close Down By Wednesday . The state's Medical Marijuana Licensing Board has approved 14 more dispensary licenses, but some 215 pot businesses that have not obtained licenses, most of them in Detroit, received cease and desist letters Tuesday and must close their doors by Wednesday if they want any chance at getting a license in the future. Massachusetts Governor Seeks $5 Million for Opioid Drug War . Gov. Charlie Baker (R) will file legislation seeking $5 million for a pilot program for a "regional, multi-agency approach to fentanyl interdiction and crime displacement," he said Monday. He said his proposal targets drug dealers who move from town to town to evade police crackdowns. "We want to give departments the resources to coordinate with each other across their districts, essentially flooding the zone against the drug dealers who are peddling addiction and death in their communities," Baker said. "We want to go after the dealers who too often evade authorities by moving to another nearby location in a different municipality." The $5 million would be used to "supplement surveillance work and overtime costs for units," he said. Brazil's Presidential Election Winner is Bad News on Drug Policy . 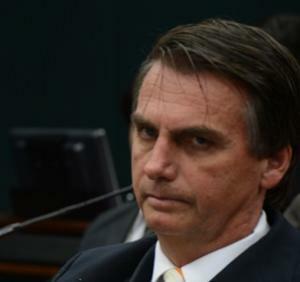 Jair Bolsonaro, the winner of Sunday's Brazilian presidential election and known as "the Trump of Brazil" for his right-wing populist views, is bad news for drug reform in Latin America's most populous country. He favors intensifying ongoing bloody crackdowns on people involved with drugs, he has said on repeated occasions that police should kill people suspected of drug trafficking, and he has openly praised Philippines President Rodrigo Duterte's bloody drug war, saying "he did the right thing for his country." He opposes marijuana legalization, saying it would "benefit traffickers, rapists, and hostage takers." And Bolosonaro isn't just bad on drug policy; he gets downright weird. He has also claimed, in a bizarre homophobic rant, that smoking pot makes people gay.